Normally when an employee app is implemented, the idea is to connect non-desk workers and to reach those who are excluded from traditional communication channels in order to bridge communication gaps. However, it’s becoming increasingly clear that employees who work in an office or on a desktop computer can also greatly benefit from mobile communication. 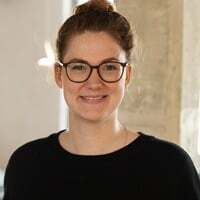 Since September 2015, Germany’s Christian Democratic Union (CDU) has been using an employee app from Staffbase, and in that time they’ve gained a lot of insight into its wide-ranging potential. 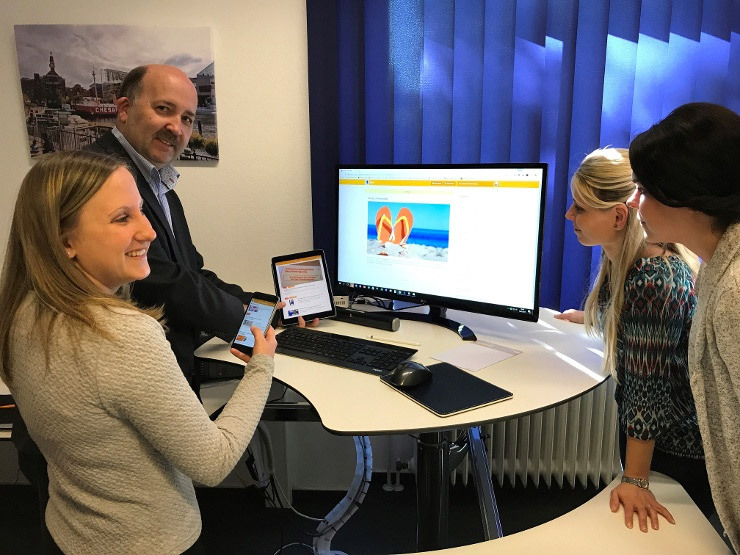 Helmut Hehn, head of CDU Hessen’s election campaign organization and administration, joined us for an interview to tell us more about the various use cases and the implementation process of this major political party’s employee app. Can you tell us a bit more about CDU Hessen? CDU Hessen is a regional business service-provider for twenty-six district associations. We have approximately 800 municipal district and local associations and almost 40,000 members. The center is built like a small to medium-sized business, with classic departments such as accounting, human resources, and IT, but of course we focus on the fields of politics, public relations and social media, and citizen services and events. We have two divisions and a number of staff offices. In election campaigns, at congresses, and during major events, we work together in cross-departmental teams. But we are also an "ongoing operation," one in which our employees are often on the road, depending on the task, and working outside of the office. Not only do some areas—public relations, social media, and events—have unconventional working hours, but they are also partly managed from our employees’ home offices. Why did you choose Staffbase? We had been wanting to reach our employees faster and more efficiently for a long time, especially if they were working outside of the party’s headquarters. Prior to the deployment of Staffbase, there was an employee newsletter which was sent as a PDF file more or less regularly to colleagues via email. We were looking for a solution that would make us more independent of that medium, because on the road or on a small smartphone screen, reading a PDF is a nuisance. We thought about a WhatsApp group for a while, but we found it wasn’t ideal for our needs. Another consideration was to develop our own app, but that seemed too expensive for us. An app kit, on the other hand, couldn’t meet the our necessary requirements. Finally, we found an employee app. Among the few German-language products that were on the market at the time of our research, the Staffbase app immediately appealed to us with its varied set of features. In a pilot, we quickly realized that the app was indeed a perfect fit for us. We’ve now been using Staffbase for almost a year and a half and we remain extremely satisfied. How did you implement your app? We planned to test the employee app with a small team of three colleagues and to take the first steps with it from there. We quickly realized that we were on the right track, and gradually took additional colleagues (especially those in IT) into the test phase. At first, we restricted ourselves to a news channel for the regional office, and we experimented with the different plugins during the test phase. When we went online for all of our employees, we presented the app and the service in the context of an employee meeting, and we supported every employee with the setup on desktops and, if they requested it, smartphones. Which applications do you use on the app today? We’ve set up news channels in more areas, and an additional channel currently informs our eight apprentices, as well as our interns, on topics related to training, seminars, and much more. The forms and documents in the app have also become an integral part of our workplace, and the use is constantly being expanded. We’ve implemented all forms and similar applications from MS SharePoint 365, and they’ve been successively integrated into Staffbase. This allows our colleagues to complete a form regardless of their location. Above all, it’s about registration forms for events, but it also allows for the reporting of IT malfunctions via a form which is then transferred from our (external) IT support to the in-house ticket system in SharePoint. Documentation of travel with private cars (which we need for travel insurance) is also done via Staffbase forms. We were able to increase the number of users by integrating our twenty-six circle managers into the app. They’re on the road most of the time, but with push messages we can reach them very reliably. When we set up this user group, we also discovered a mistake we’d made in the beginning, where we’d set up all the information on the pages so that every user could see it. This was no longer useful, so we were able to edit the settings of numerous pages. At the moment we have nearly 90 users in our app. In the meantime, trainees are given limited access to information during their work period, and are thus included in the communication flow. By 2018/19, we will have expanded the number of users to approximately 250. What do you have in mind for the future of the app? We use Staffbase more than any other tool for our employees at the regional office. In the 2018 parliamentary election campaign especially, which we’ve already begun to plan, we will be able to send service offerings as well as political content to the candidates quickly, reliably, and above all we will use the app to receive feedback from the candidates and circle associations. What do your colleagues think of the app? We asked the employees of the state office to create a Staffbase account—which is easily possible through the uniform mail addresses. This relieves our administration enormously. The employees have been responding promptly to this request, which also applies to new colleagues. We’ve asked colleagues who are equipped with a business smartphone to install the app and to enable push notifications, and we’ve asked those who use private devices to do so, too. So far, to our knowledge, every employee at the regional office has activated push notifications. We’re now able to inform colleagues about disturbances before their arrival at the office: water turned off; power outage; etc. . . . There have been no problems on the official iOS platform, or on private Android devices, which is very important for fostering acceptance. And messages are transmitted with absolutely reliability, which also helps to promote acceptance.